It is clear that many parents don't know a lot about what goes on inside the Montessori classroom. There are, of course, parents who are very knowledgeable. So today, parent to parent, I thought I would briefly cover the five key learning areas in early Montessori. In the home, I am aware of these areas and before my children started school full time, I definitely looked over and ensured we covered or touched on all of these areas. It really made me feel like we were delivering a whole range of activities. While on our shelves I kept our materials together, in the classroom there are shelves and spaces for each area. In the classroom, you will find 'Practical Life' shelves and 'Maths' shelves. One of the important things to keep in mind in Montessori is that no area works in isolation. 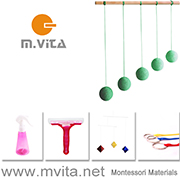 Practical life and sensorial exercises form the foundation for language and maths. Culture can be incorporated into all areas. The five key areas of learning in the Montessori environment include; Practical Life, Sensorial, Language, Mathematics, and Culture. Control of Movement (refining movements, walking the line, moving quietly). Includes the manipulation of specifically designed materials that isolate qualities. Refines fine motor skills, visual and auditory senses and develops coordination and the ability to order and classify. Materials include Pink Tower, Brown Stairs, Knobbed Cylinders, Colour Tablets. 3. Language is based on phonetic awareness. Children work through specific hands-on and tactile language materials such as the sandpaper letters to the moveable alphabet. Language is not an isolated topic but runs through the curriculum. The spoken language is the foundation for writing and then reading. 4. Mathematics is developed with the use of concrete learning materials. The sensorial area is the preparation for mathematics. Hands-on materials are used such as number rods, sandpaper numbers, number boards, spindle box, number tiles, beads, and games. Each exercise builds upon another and the child gradually moves to from concrete to abstract areas such as place value, addition, subtraction, multiplication, and fractions. Art and music could be considered cultural activities, however, creativity is encouraged across all curriculum areas. The cultural area is clearly identifiable by globes, puzzle maps, flags and perhaps images or materials from other cultures. Most schools cover these areas with a bit of a description on their websites. 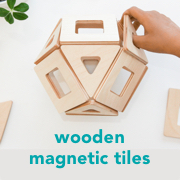 While not completely necessary, I believe it helps to know the Montessori basics. When you walk into a Montessori classroom and can identify the areas, it all make sense!